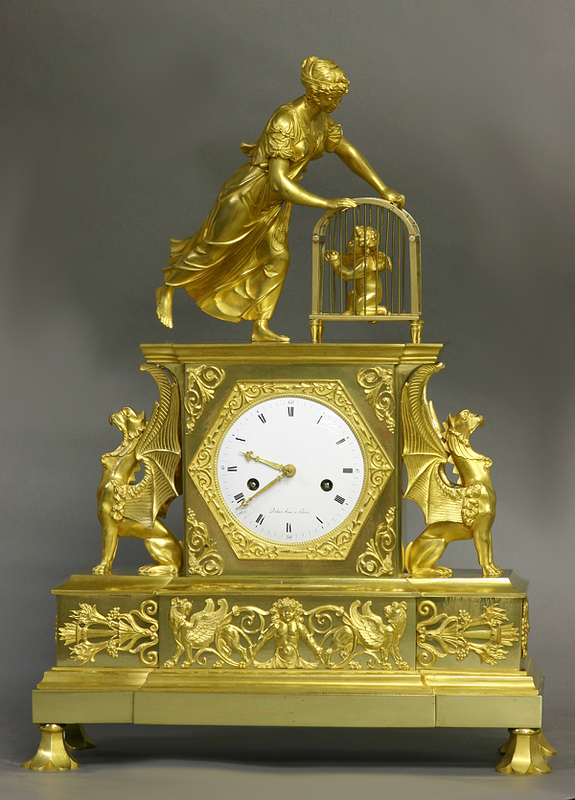 The well-cast and finished ormolu is surmounted by a female figure leaning over and opening the top door of cage containing a putti. 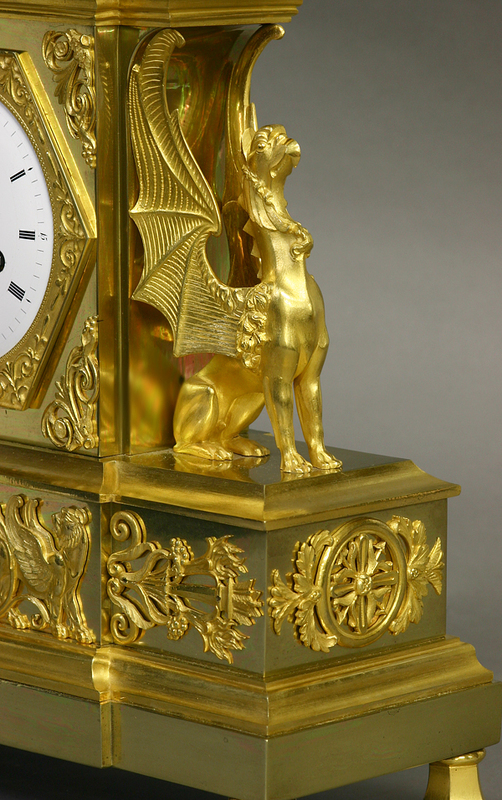 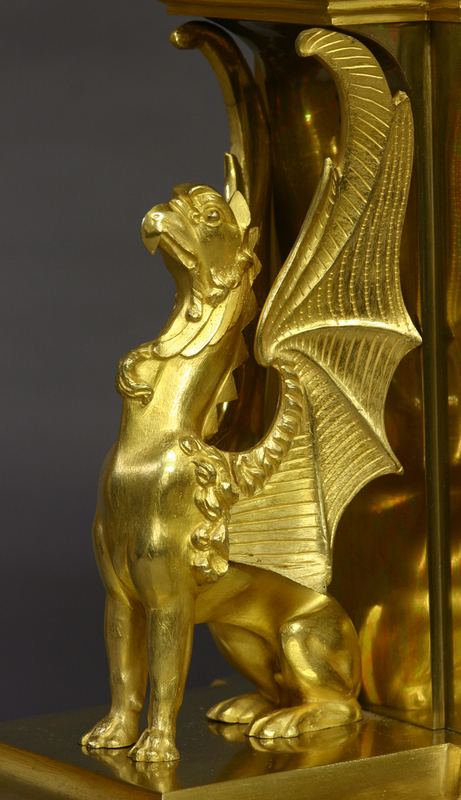 Flanking the clock are two large winged griffins on a stepped base with unusual stylized floral feet. 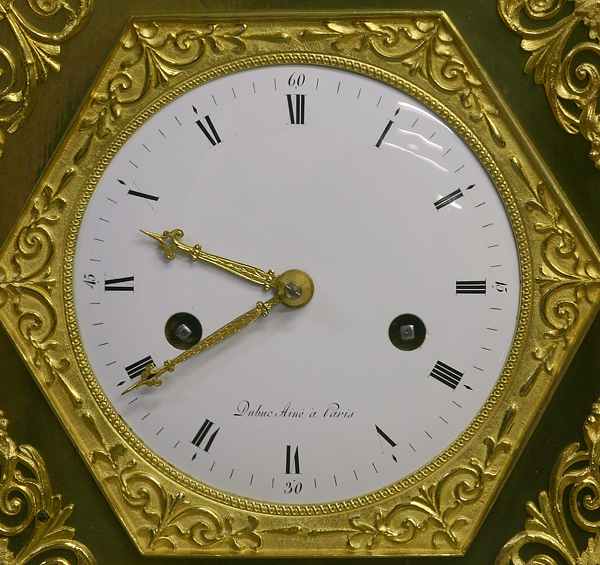 The well-lettered white porcelain dial has black Roman numerals for the hours, a cast ormolu bezel, cast ormolu hands and is signed, ‘Dubuc Aine a Paris’. 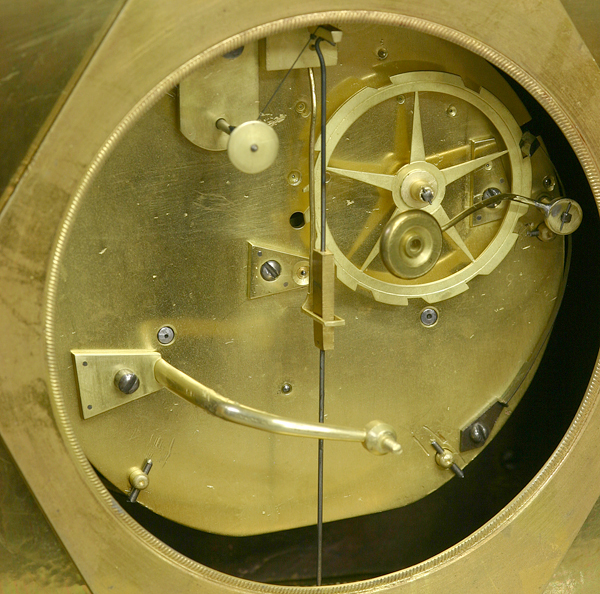 The large eight-day time and strike movement has a silk-thread suspension with the fast/slow off the back, nicely cut and finished wheelwork and countwheel striking on a bell. 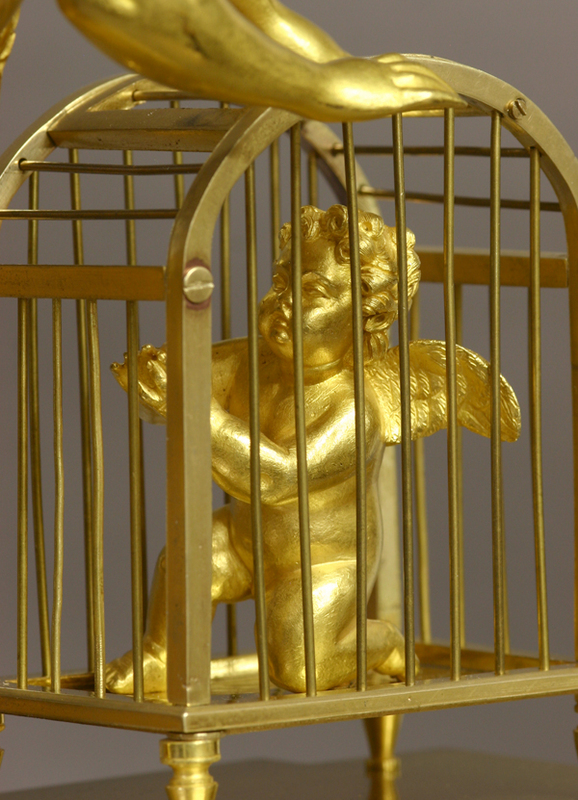 his model is commonly referred to as ‘La Delivrance de l’Amour’. 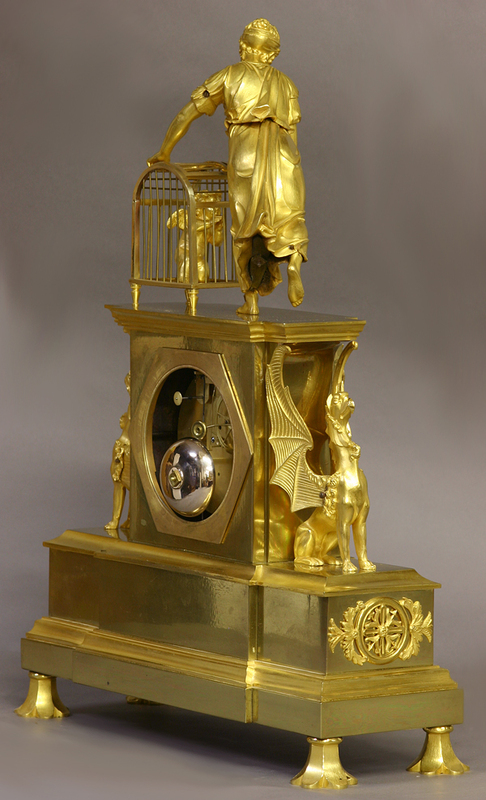 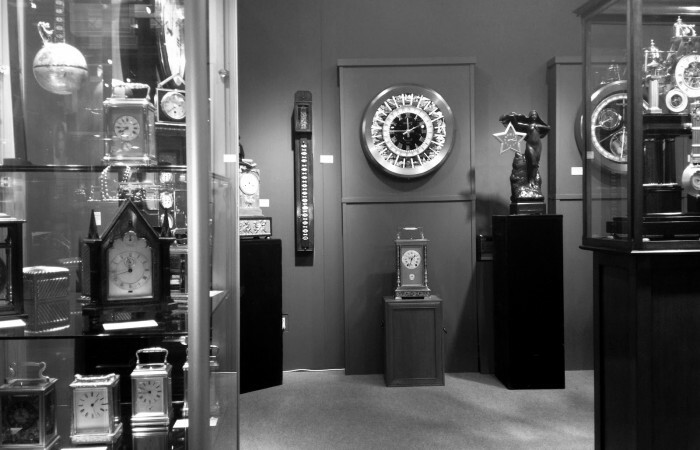 For a similar clock see: ‘La Pendule Francais’ by Kjellberg, pg 392. 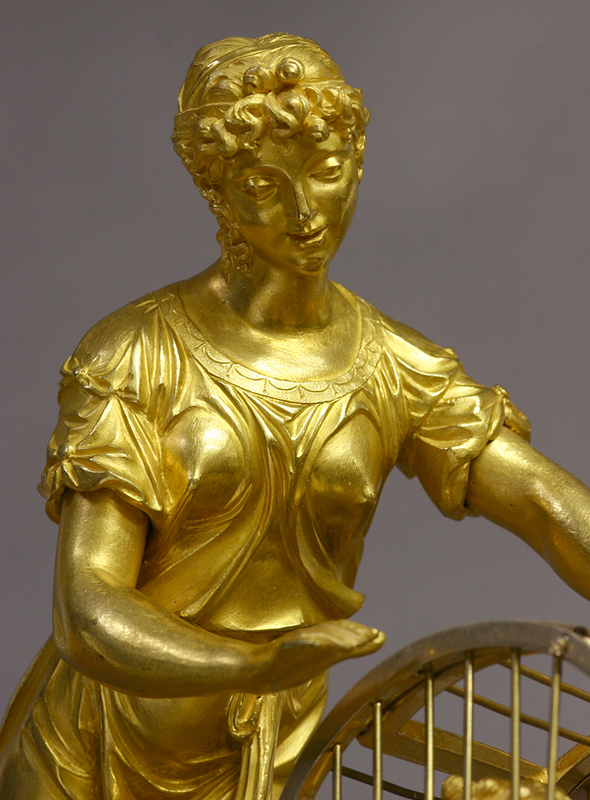 Dubuc aine is listed as working in Paris at Rue du Grenier Saint-Lazare in 1804 and Rue Michel le Comte from 1806-17.